Florence is arguably the art capital of Italy as it’s here where the Renaissance was born and today, the city houses countless masterpieces from this era. Enjoy a private tour of two of Florence’s most beloved art institutions, the Uffizi Gallery and Accademia Gallery, with your private English-speaking guide from Italy’s Best. We will then continue to the Uffizi Gallery, which houses the world’s most important collection of Renaissance paintings. The palace itself was built under the rule of Grand Duke Cosimo I Medici in 1560 to serve as Florence’s administrative center and today, the gallery displays a collection of paintings and sculptures ranging from medieval to modern that showcases works from some most celebrated names in Italian art including Giotto, considered the founding father of the Renaissance, friar-painter Filippo Lippi, Venetian painter Titian, architect Giorgio Vasari and of course three of the most renowned masters: da Vinci, Michelangelo, and Raphael. 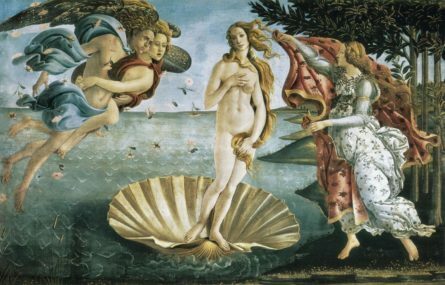 The museum is perhaps most famous for two Botticelli masterpieces: The Birth of Venus and the Primavera.